I was surprised to see so many hikers near the trailhead because it looked like it would rain at any moment. I am not a fan of hiking in the rain. Well, to be correct, I am not a fan of mud. I hoped it doesn’t rain until we finish hiking. 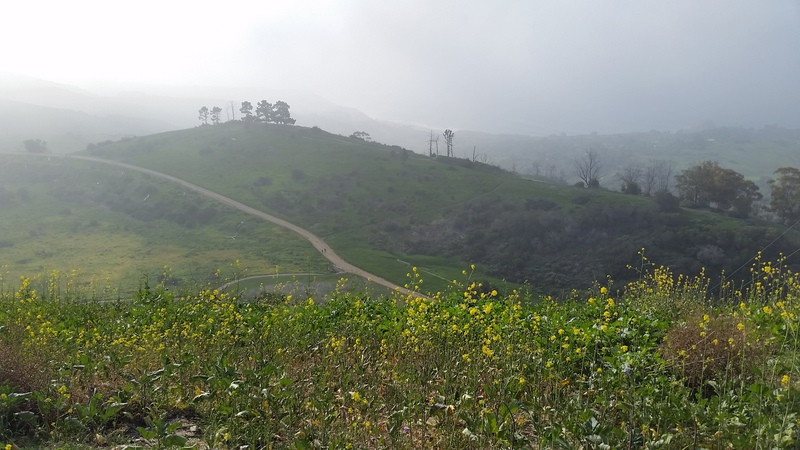 Due to fog, I couldn’t see the ocean but the view was still picturesque at the trailhead. I took the little side trail on the right at the first junction to get away from the crowd. At first, I thought only that area was green but to my surprise, the entire rolling hills were covered with greens and wildflowers! When I started hiking here a few years ago, it was after a wildfire. The city put a lot of effort in to restoring the area since then. Even last year, it didn’t look like this! About 5-6 years after the wildfire, the place is finally coming back to life again! They did a great job! It was absolutely beautiful! I felt so happy that I was almost giddy. From Ishibashi Trail, I turned left on to a trail that had less traffic. 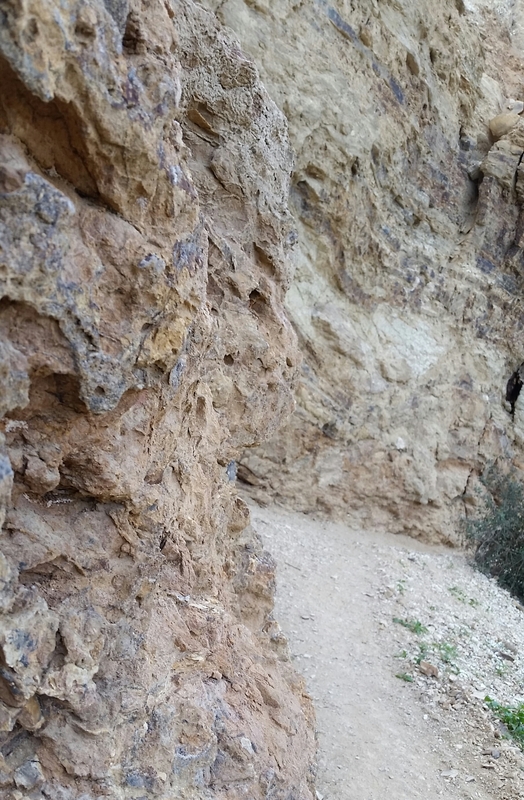 It’s a gradual uphill on a narrow trail. This was my view from Grapevine. We ran in to couple of friendly hikers and their dogs here and there but mostly we hiked by ourselves. It was quiet and peaceful. Just the way I like it. Exploring new trails led me to my new favorite trail – Paintbrush. Beginning of Paintbrush Trail from The Rim Trail. Next time, I would like to climb up the trail. The CAUTION sign? Take it seriously. I slipped a few times. 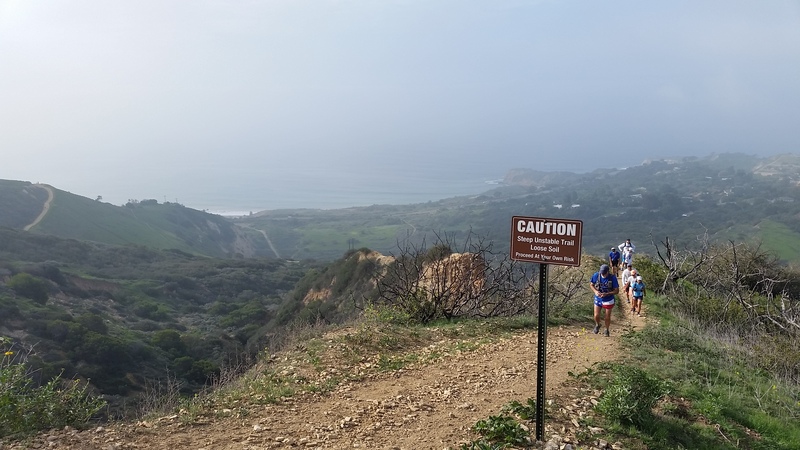 Trailhead: Google Del Cerro Park in Palos Verdes. Free street parking on Crenshaw Blvd. I recommend proper hiking shoes for Paintbrush Trail. Trekking poles are optional unless you have knee issues. 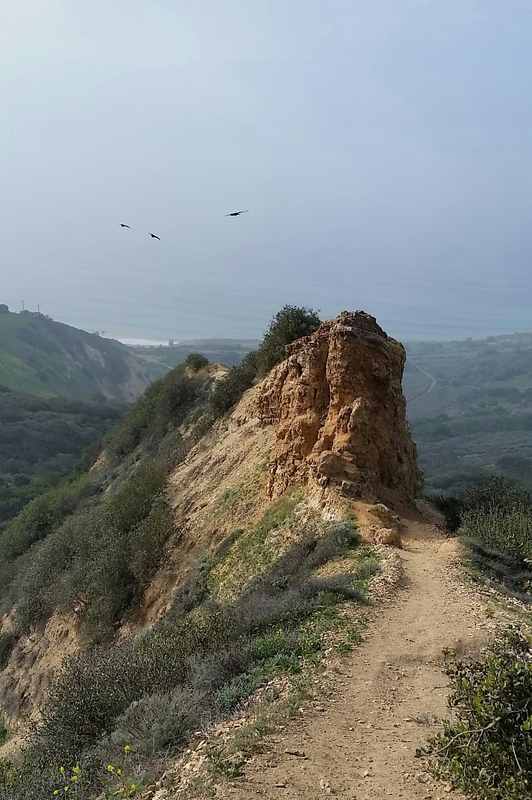 If you are interested in exploring the area further, please check out my previous postings for Palos Verdes from the menu. Happy Hiking!